Facebook launched Facebook lite in 2015 and had 200 million users in 2017, and that paved way for the launch of messenger lite last year. The Facebook owned instagram has also rolled out Instagram lite for entry-level Android smartphones with less storage, like Android Oreo Go Edition devices. The app is just 573kb compared to the 32 MB standard Instagram app for Android. The app has all the features that are available on the mobile web app, including Stories, Explore tab and more. The company is planning to add messages and share videos soon. Instagram lite takes up less space on your device, uses less data, and starts faster. 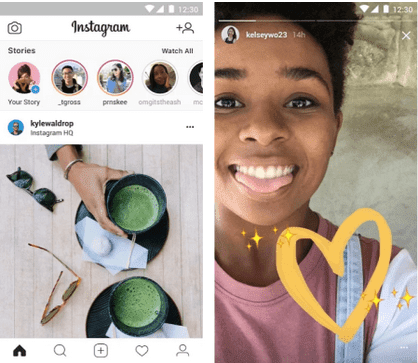 According to the company, Instagram is testing Instagram lite first in Mexico before it will be rolled out to other countries. Ø Post photos you want to keep on your profile grid and edit them with filters. Ø Share multiple photos to your story. Bring them to life with text. Ø They disappear after 24 hours and won’t appear on your profile grid or in feed. Ø Watch stories from the people you follow in a bar at the top of your feed. Ø Discover stories, photos and videos you might like and follow new accounts on the Explore tab. You can download it here or here.